Does something in you stir when you see the eyes of people across the world as they face disease, disaster, or despair? Do you believe that we all deserve to experience the spiritual abundance of knowing Jesus Christ? Have you felt compelled to help but don’t want to do it alone? We strive to take the whole Gospel to the whole world. From the tropical hills of Sierra Leone to the streets of India, we are ready to go. From orphans and widows to church leaders and farmers, we stand ready to serve. From NGOs and businesses to churches and colleges, we are eager to partner. Look around a bit and get inspired. Answer the call to get engaged. Together, we can Restore Hope Today! Borders are closing. Airlines are cancelling flights. The economy is slowly shutting down as fear spreads. The Ebola death toll steadily rises in West Africa. Sierra Leone is home to six million people, about the size of the Dallas/Fort Worth region. What would you do if hundreds of people suddenly started dying from an illness passed through sweat, blood or tears? We are mobilizing our staff and partners to serve the most vulnerable families in our partner communities through prevention and awareness, humanitarian relief and support to local medical facilities. We will begin conducting in-home visits to educate families on proper Ebola prevention measures and provide them with some basic sanitation supplies and spiritual encouragement. As jobs shut down and food becomes more scarce, we are working to provide Hope Packages to families that include food rations, sanitation supplies, a thermometer, water purifiers and Christian literature to help them through the current crisis. We are also working to provide basic medical supplies and protective gear to local clinics and hospitals to counteract the shortages experienced nationwide due to the strain on an already fragile, ill-equipped healthcare system. We need your help to keep our communities safe. Get involved today! Make a life-saving financial gift to the Emergency Relief Fund and support our Ebola response efforts. Contribute to our medical and relief supply shipments. Follow this link to view a full list of needed supplies. Pray for the people being affected by this horrible disease without a cure. Upcoming Facilitator Training in San Antonio! Are the people in your congregation ready to be trained to take the gospel across cultures? Perhaps you have people in your congregation who are called to serve overseas. Or maybe the opportunity for gospel witness among another ethnic or language group is within your own community. As local church leaders, it is our role to help the people in our congregations be prepared to cross cultures with the gospel. Kinexxus can help. By selecting and sending someone within your church body to be trained as a facilitator, your church can be a base for the preparation and sending of workers into other cultures both locally and around the world. Kinexxus is hosting a training for church facilitators to be prepared to form training groups within the local church. In this Facilitator Training event, these leaders from your church can obtain resources and practical knowledge to facilitate small group formation that addresses the issues that matter for every cross-cultural witness. Utilizing PANORAMA: A Broad View of the World and Your Place in It, these trained facilitators can help your people be prepared to live as witnesses within a second culture. Facilitator Training in San Antonio will be held on Friday, July 12, 2013 at the Baptist University of the Americas. For more information and to register, visit: www.ftsanantonio.eventbrite.com or contact Remey Terrell at the Kinexxus office at 817-276-6494. If you are reading this blog post expecting to see the familiar logo of GCPN, you may be wondering, What is Kinexxus and how did I get on this mailing list? It’s a rather long story – much too long to hold your attention in a blog post– so I’ll skip a lot of the nuts and bolts and just give you the brief of it. Do you remember when Henry Blackaby shook your world by highlighting lots of truths from the scripture in Experiencing God back in the 80’s? Among Blackaby’s principles for knowing God’s will was this – watch and see what God the Father is doing and then join God in what He is doing. Jesus said, My Father is always at work to this very day and I too am working…the Son can do nothing by himself; he can only do what he sees his Father doing… (John 5:17-19). So what is the Father doing? God is working in the Church. He is working in the churches. In the last 10 years we have watched God bring about a revival and commitment of the local church to reclaim her Christ-given role of witnesses to Christ in the lost world. We have watched as some particular denominations struggled to re-embrace the responsibility of the mission’s task after decades of missional atrophy. We have watched churches go through phases of frenzied mission activity that finally matured into a desire to do mission strategically. We are all growing up. But one of the most encouraging recent observations is that God is leading churches to link with other churches around common affinities. Maybe it’s just the age of networking. Maybe it’s the fact that churches across the world – due to technology and connectivity – can now work effectively together around common affinities. Perhaps the affinity they form around is a common people group. Perhaps they are focusing their mission efforts on a common geographic region. Sometimes the affinity that draws churches together is a common cause such as orphan ministry, water resourcing or human trafficking. Leaders of these affinity networks have begun asking another question – What can we all share that will make the task easier for everyone? We want to be good stewards of Kingdom resources. This conviction is rooted in the desire to reduce duplication and live out authentic Kingdom collaboration. There is much that can be shared among churches and affinity networks – resources, knowledge, information, and practices. We are called to Kingdom Community. We simply cannot help ourselves. We authentically love each other and want to be a family. It’s a part of our make-up as relational beings possessing a common Lord and a common faith. We like to share with one another. The remaining task is hard. Affinity networks are many times highly dependent on a local church to implement missions and ministry on behalf of an affinity group of churches. The logistical weight of this can be very cumbersome for one local church. God is shaping us for missional effectiveness in this kairos. Every age of mission history has possessed unique expressions of order for the sake of effectiveness. In an age in which sweeping movements can be ignited through communities and networks via electronic and wireless technology, God is leading his church to utilize all possible means of igniting movements among unreached peoples of this world. An Information Gateway – Information is empowerment. Whether your church is seeking best missional practice or security information on your mission point, having access to the right people with the right information is crucial. Creating forums for communication and sharing of information is the nature of Kinexxus. Catalytic Services- Kinexxus offers a broad range of catalytic services to collaborative churches and affiliates. Strategic Networking – Churches in the Kinexxus network have access to mission expertise which allows for the formation of healthy mission practices. For those seeking an affinity connection, a resource or strategic guidance, Kinexxus links people and churches to others on the journey. A Common Table – Unity is our ethos. Respecting the beauty and strength of diversity, Kinexxus is committed to the autonomy of local churches and affinity networks in Great Commission efforts. Yet we strive for the unity of spirit and collaboration Jesus described in John17 – that all of them may be one…to let the world know that you sent me. We view our global network as our missions home and seek to encourage and strengthen those who sit at our table. Learn more about Kinexxus and how your church can be a part at remey.kinexxus@fbca.org. For those of us who are ministers and leaders in the local church, there is a long list of things that we do. Included are activities such as preaching and teaching, praying for the distressed and sick, visiting people in the hospital, providing activities for children and students, planning worship, dealing with personnel matters, creating opportunities for fellowship, managing finances, and the list goes on and on. While good, worthy, and necessary, these ‘must do’s’ can at times become ends in themselves, unless broader and ultimate purposes are kept clearly in view. All good and worthy activity can lapse into training people in how to exist for the sake of the church. We can subtly communicate that one’s highest calling is to support the organizational objectives of the church, to show up at every church event, and to speak and behave in a churchly manner. The objectives can become getting people into the church building and then teaching them our language, disconnecting them from old friends, reconnecting them to us, re-arranging their schedule around church events, and instructing them to give time, money and service to support the church. In so doing, we risk reorienting their lives solely toward church, and thus, making them into churchly Christians. In the end, they become ghettoized. To ensure that means remains means and not become ends, we must continually ask – Does our activity lead toward the formation of character and the development of competencies that will move people toward faithful presence and clear witness in the world? If we only teach people how to be morally good and to behave in church, then we have failed. They must be formed in such a way that they can live – fully, faithfully live – in the world – at work, school, home, on the road, at the sporting event, on vacation, at the family reunion, at the funeral, in the hospital, during elections, in job loss, at news of cancer, in an earthquake, or in a national disaster. In Letters and Papers from Prison, Dietrich Bonhoeffer conceives the Christian life as one not lived toward religion but toward the world. “The ‘religious act’ is always something partial; ‘faith’ is something whole, involving the whole of one’s life. Jesus calls men, not to a new religion, but to life” (362). Christianity for the sake of Christianity, holiness for the sake of holiness, and church for the sake of church are insufficient aims. As Christ came for others, loved others, and suffered and died for others, we are called to do the same. Christians, according to Bonhoeffer, “must live a ‘secular’ life and thereby share in God’s suffering. … It is not the religious act that makes the Christian, but participation in the sufferings of God in the secular life” (361). To be alive in Christ is to be alive to the world; to give our lives to Christ is to give ourselves to the world. Among actions that ghettoize Christians, two are probably most common. First, we demonize culture, and thereby, encourage Christians to withdraw from the world. When culture is named as the enemy, we explicitly communicate that people should oppose or fear ‘the culture’. The truth is that the gospel cannot be separated from ‘the culture’, as it is always clothed in culture of some sort – language, technology, structures, music, processes, forms, etc. Thus, the gospel happens in the stream of life, and must continually intersect with culture, speak into it, and become party to it (contextualization). This is not the weakness of the gospel but its power. The gospel must dress itself in ‘the culture’, or it is not present and at work. And by being present and at work in the culture, gospel mends and restores culture to its higher purposes. But by naming ‘the culture’ as the enemy, we merely urge people to join a ghettoized religious culture and rob the wider culture of the salt and light of the gospel. Second, we segregate mission from evangelism. We have made mission what groups of specialized, highly trained professionals do in Japan, Cambodia, or Peru (the world). On the other hand, evangelism is what the rest of us do occasionally as part of our church obligation. Thus, missionaries go to the world and become like the world to which they are called. Church members go to church and go out from the church now and then to evangelize people into the church. Divides between church and world, mission and evangelism are artificial and unfortunate. There should not be two opposing cultures – church and world, two activities – mission and evangelism, or two kinds of people – missionaries and church members. The church exists in and for the world. Every Christ follower is meant to participate in God’s mission in and to the world. Whenever the church exists for its own growth, its programs, and its success, the church looses sight of its essential purpose of forming and equipping Christ followers to be a faithful presence in and a clear witness to the world. The aim of forming people toward the world has caused a group of pastors, missionaries, and educators to create a unique, church-based, world-focused learning experience called Panorama. Panorama is forty plus web-based lessons designed to be facilitated in a local church setting. The lessons address issues related to faithful presence and clear witness, such as approaching people of other faiths, cross-cultural living, contextualization of the gospel, language learning, teamwork, etc. We believe these approaches and skills, once thought to be only necessary for missionaries in international settings, are essential for the formation of believers who live in such places as Waco, Tulsa, and Little Rock. Panorama has been developed with three premises in mind: life transformation is the goal, facilitated group learning is the means, and reflective practice is the dynamic. Therefore, those who facilitate Panorama in their local church must understand these aims and processes. Thus far, approximately seventy people from twenty churches have participated in seven Facilitators Workshops. I invite you to join us for the next workshop on August 5-6, 2011 or September 9-10, 2011. To learn more about Panorama and to register for one of the upcoming workshops, visit Panorama, or contact Remey Terrell. The presence of the church in the world must be more than its facilities or programs, and the witness of the church must be more than what is spoken from the pulpit or in a Sunday School class. The church is those of us who have been captured by Jesus Christ and are continually being formed to live and speak in such a way that those with whom we work, play, eat, weep, celebrate, listen to music, view movies, drink coffee, and live life may see truth and experience love. In this manner, we – the church – live toward a wider vista, join a greater mission. The world as we know it is rapidly changing. Current economic, demographic, technological, and political changes can cause our heads to spin. Yet, one change that may not be as obvious is that the American context is becoming less and less Christian, especially in the way Christianity has been traditionally understood and followed. People are asking such questions as “Why bother with church?” “What has the Christian faith to do with the real problems of life?” In some quarters, the questions are not as benign. These people aggressively ask, “Why are Christians so bigoted, narrow-minded, and anti-everything?” Studies show that while there is a growing interest in matters spiritual, Christianity and the church are increasingly viewed as irrelevant or passé, especially when it comes to our collective lives as Americans. So, how are Christians to respond to this new reality? The response of some is to do whatever they can to mimic their surroundings. Thus, they feel they must forgo distinctions that are out of step with the wider culture in order for Christianity to remain viable and relevant. So, in speech and action, they seek to excise exclusive language and to avoid an uncomfortable stance on issues related to morality, gender, and eternal destiny. Their mission, they say, is to accompany society in such a way that they have a voice in the national/cultural conversation. Fear is one of the motivators for these Christians. They fear being marginalized by society, so they carefully measure their words and actions in order not to alienate. The result is that society determines what the concerns, priorities, and sensibilities of the church are to look and sound like. And while this is in many ways appropriate and healthy, a line can easily be crossed and the church loose its distinct voice and its agenda begin looking no different than any other club or cause. An indication that this line has been crossed is when the standards for the kind of music used in worship, the way the church markets itself, the services it offers, the subject matter of sermons, and the causes that the church undertakes are set chiefly by external forces rather than internal convictions. The tendency of other Christians in the face of the new reality is to mount a vigorous defense of the church, to reiterate its rightful place within American society, or to redouble efforts to bolster it’s reputation and profile. The shift underway threatens the existence of the church, and thus, these Christian feel compelled do whatever they can to secure the church’s place, protect its interests, and ensure that Christians get what they need. The end result is that much of the church’s mission becomes the garnering of resources necessary to perpetuate who it is and to protect its interests. Fear is likewise a motivator for these Christians. Specifically they fear being taken advantage of by the wider society or losing what they feel rightfully belongs to them. These fears also impact their speech and action. They employ insider language in order to create a sense of belonging for those on the inside and exclude those on the outside. And while this language provides a secure connection and identity for brothers and sisters on the inside, it also categorically defines the outsider. As a result, these Christians act out their faith in sacred rather than public space. They travel to a specific building called church to do Christian kinds of things. They gather within havens of agreed beliefs about morality, politics, and gender. The safety of these havens protects them from threatening, worldly influences and forces. And while they must make necessary forays into the world to work, shop, and attend public events, it is in the sacred space that life makes sense. Thus, mission for these Christians means attracting those on the outside to the sacred space and then convincing them to defect. In both cases, response is not a matter of conservative versus liberal, mega versus small, rural versus urban, or Baptists versus Methodists. Rather, in both we find two ways in which Christians of all theological persuasions and denominational affiliations and churches of all sizes and locations deal with the changing context. At one extreme, the mission of the church is to accommodate. On the other side, mission is to attract. There is a third response. Rather than being for or against society, Christians set themselves toward the mission of God. Orientation and response are not ultimately determined by changes in society but by the unchanging and relentless purposes of God. The mission of God rises above mere accommodation and attraction to a way of being in and for the world defined by who God is and how God acts toward the world. Mission and missional are used by both those who accommodate and those who attract in order to describe and justify what they do. And yet, before describing mission as what we do, mission must be understood as divine being and action. Mission does not belong to us, rather it originates from and is defined by who God is and what God does. Rather than accommodating the spirit and patterns of society, God is distinctively other. Rather than submitting to a temporal, local agenda, God’s ways are higher than any person or society’s ways. Rather than seeking to be relevant or current, God makes all things new. Rather than protecting what is his, God gives. Rather than looking out for his own interests, God loves. Rather than pulling everything to himself, God sends. God, who creates and sustains all things, so loves the world, that He gives his only begotten Son. This is mission; this is the mission of God. For our response to the current shift in American society to be faithful and true, it must begin with an acknowledgment of God’s mission and an alignment of our minds and hearts, words and actions with this mission. Christopher Wright says, “it is not so much the case that God has a mission for his church in the world, as that God has a church for his mission in the world. Mission was not made for the church; the church was made for mission–God’s mission” (The Mission of God, 62). Missions goes awry when the church acts as though mission begins and ends with it. The mission of God encompasses more than a few verses in the New Testament and includes more than missionaries who live and work in cross-cultural settings. How it impacts the whole of the church is a longer conversation than this article, but I will suggest four ways in which we might acknowledge and align our lives with it. •Interpretation. The mission of God should guide the way in which we read and interpret scripture. Reading the Bible, both Old and New Testament, as a missionary text about a missionary God changes everything – the way we view our purpose, God’s action in history, the end of all creation, etc. •Inversion. The mission of God should critique the manner in which we speak, act, and love. If we allow it, the mission of God provides a lens through which everything is turned upside down – is inverted. •Imagination. The mission of God should frame the way we imagine the world – economics, race, politics, relationships, vocation – and only then will it affect our actions. As a missional reading of scripture inverts our way of seeing reality, we can begin imagining what could be, what should be. •Implementation. The mission of God calls us to action. If acknowledged and understood, the mission of God will not allow us to passively acquiesce to or quietly retreat from our culture but will demand that we respond as Christ did – with our lives. We do not live above God’s mission, as if it is ours to control and manage. His mission is not a program to run or resources to manage. Mission is his words and actions of love and grace toward the world. And while we are always the object of this mission and never the subject of its design and intent, we can become participants through God’s gracious invitation and by his empowerment. But in order to do so, we must set aside our fears and re-read scripture, re-think our lives, re-imagine the world, and re-enact God’s glory, passion and love, in light of the mission of God. Which mission guides my response to the changing society around me? Whose mission gives definition to who I am and how I act? If your life and ministry is anything like mine it is likely that you are constantly evaluating your ministry and mission practices to insure that the fruits you are producing have a lasting effect that glorifies God and produces true transformation in the lives of people, families, communities and cultures. That is one reason I love to hear from practitioners who are implementing effective ministries and movements. As I listen to the ideas and examine the practices of others I find that I may not totally agree with or be able to apply everything I hear – but I can definitely learn from the experience of those who are faithfully living with their boots on the ground and producing spiritual fruit among unreached cultures. So, today I am sharing with you the first in a series of articles entitled, Healthy Mission Practices. You will be receiving one article at a time from practitioners who wish to share with you the wisdom they have learned. The first article below is written by Ron Hill. Ron and his wife, Sharon, have served in West Africa for over 30 years with a large sending organization. After retirement, their home church commissioned them to serve in the war-torn nation of Sierra Leone as Senior Leaders of Project Restore Hope: Sierra Leone www.restorehopeproject.org . My prayer is that you learn from Ron some wisdom regarding best practices in a third world context. While he speaks from an African perspective, I think you will find that there is great knowledge to be gained for any cross-cultural setting. I am praying for you as you read Ron’s words below. As I write this article, I am looking out my African window and seeing the fine dust of a sub-Saharan Harmattan mist settling on the lush tropical forest of the Peninsula Mountains. These are the same mountains from which Portuguese traders, sitting in their ships in what is now the Freetown harbor, heard what they thought was the roaring of lions They gave the land its name—Sierra Leone or lion mountain. Whether the Portuguese traders actually heard lions or the thunder claps of rainy season storms is the subject of historical debates. Other Europeans followed instituting colonial systems that would foster prejudice toward the “uncivilized” indigenous peoples and eventually crush their self-reliant spirit. In the centuries that followed, the superiority of all things European became so ingrained in the minds of Sierra Leoneans that they began to think of themselves as inferior-incapable of charting their own destiny. African ways were relegated to the status of “uncivilized” and forced to give way to “civilized” society. Survival required subservience. The quicker one could adapt to these new realities, the sooner one could experience the benefits of the new world order. Even after Britain granted Sierra Leone its independence, financial aid from donor governments would continue to drive its internal policies and infrastructural development with limited input from its citizens, creating and perpetuating a “receivership” mentality. Such a mentality holds to the belief that a person or community can only “receive” from others because that person or community lacks the material, intellectual or spiritual resources to contribute anything of value to others. Mission organizations and humanitarian agencies that operate from the same misguided assumptions that Africans are too poor or incapable of doing anything significant to bring about development to their communities only reinforce a receivership mentality. They come to Africa with a heart of compassion and noble intentions to alleviate the suffering of an impoverished people. But if they don’t take the time to understand the community and cultural worldview they are entering or attempt to learn even simple greetings in the local language, these well-intentioned “do-gooders” run the risk of rushing in and unconsciously imposing their will – utilizing material resources to gain control so they can make their project “happen.” The results will be short-lived and often counterproductive. The local community will not own the project, nor will they feel any obligation to maintain it. 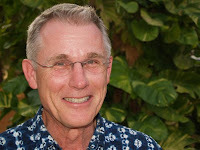 Steve Saint, on returning to the Waodani people years after his father, a missionary pilot, was killed by them, found Waodani church buildings in disrepair. When Steve asked his Waodani friends why they had not been maintaining the nice buildings that kind-hearted foreign Christians had helped them construct, they responded that the only structures they knew how to build were made of thatch roofs and bamboo floors. Since foreigners came to construct buildings of superior materials, they concluded that the churches they built were not acceptable as houses of worship and that only foreigners knew how to build and maintain true God houses. Sadly, they thought of themselves as inferior and unqualified to build their own churches. The task orientation of North Americans can overpower the efforts of West Africans who value relationships and maintaining unity in the community over completing a particular project. An African church, struggling to depend on the Lord to provide basic resources for ministry, can find it easier to surrender their responsibility for reaching their community to their wealthier Western Christian brothers who are eager to assume control. Westerners link up with local Christians to ‘fix up’ their buildings, do their evangelism, preach in their services, lead vacation Bible schools—all things indigenous church members are better equipped to do because they are cultural insiders. A pattern of dependency and paternalism begins to emerge as local congregations come to depend on outsiders to do what they could do themselves. 1. Examine personal attitudes and motivation: How will we see our African [indigenous] partner—as poor and in constant need of material and spiritual resources or endowed with true riches and essential spiritual gifts as a follower of Christ? Do we believe that our African counterpart can be a true partner and contribute significantly to the success of the project? What meaningful resources will our African partner bring to the table? Are we motivated by guilt or a need to be needed? Do we want the immediate gratification of making something happen in the short term or will we focus on building capacity in our African partner for long term sustainability and reproduction? 2. Watch for where God is working: A group of destitute widows who have a concern for helping orphans; an indigenous believer who is willing to become a cross-cultural worker because his/her heart is broken for the spiritual condition of another ethnic group; a respected community leader searching for truth– all have one thing in common—they have unselfish hearts softened by the Holy Spirit from which credible ministry flows. Join African efforts by encouraging and equipping Africans who are sensitive to God’s leadership. 3. Model Kingdom Values: Missional Christians are called to be light in the world. The kingdom values humility, servant leadership, sacrifice, faith and complete dependence on God. This involves a willingness to deny self and the grace to become a perpetual learner of language and culture. 4. Simplify: Those things which are simple and doable at the lowest levels will be the most effective. Any person in the congregation or community should be able to evaluate and reproduce any task that is beneficial and modify it in a way that will make it his/her own. Elaborate programs with big budgets and complicated strategies will eventually die from a lack of outside resourcing to keep them alive. Improve capacity through culturally relevant training programs. 5. Find projects that contribute to encouraging ongoing local ministries. Ministries and projects Africans are already attempting to undertake at personal sacrifice and meager resources are good indicators of real needs that are not being met. Be discerning and ask questions about the vision of leadership and the history of the ministry or project before making a commitment. 6. Be transparent about personal shortcomings. Cultural blunders are inevitable. Mistakes may result from a lack of cultural information or misinformation about indigenous worldviews. Too often pride and fear create cultural discomfort that keeps Westerners from being integrated into African society. A missional mindset embraces vulnerability. Rather than hide faults and problems, transparency permits them to be openly addressed. Fortunately, many Africans are quick to forgive mistakes when the offending party admits his/her fault and asks for forgiveness. 7. Forge partnerships built on mutual trust and respect. Seek and highly value the input of all partners. 8. Set up systems of mutual accountability: All partners minister in the context of community in which the stewardship of resources means partners are accountable to each other to operate in the most effective way possible. Explain clearly any expectations for handling money and making regular reports. Avoid using money as a tool to control partners or as a strategy to create or prop up programs or projects that would collapse without a continuous flow of outside funding. 9. Think Indigenous: The word “indigenous” means “home-grown” –something native to its environment. It also describes those things that are characteristic of the way people do things in their society. Non-indigenous things are the things people “borrow” from another society—foreign structure, foreign music, foreign money. Indigenous things flourish and reproduce naturally in their environment. 10. Have an exit strategy: From the beginning (and with the assistance of indigenous partners) develop an end vision—a description of what the project will look like when it is fully completed. Determine the point at which a phase out will begin and the responsibility for leadership will be completely assumed by local leaders. Throughout the project local leaders should assume greater and greater responsibility while foreign leaders will diminish in their leadership role until local leaders have full responsibility. “Let’s build something together.” Partnership development is an essential mechanism for building capacity in people and building the high performance organizations necessary to impact the needs of communities in Africa. Capacity shortcomings can be overcome through partners working together. The healthiest partnerships grow out of a shared vision, a common purpose, and mutual respect for the giftedness of each partner. They learn and grow together. A good Western partner learns to navigate between doing for African partners and empowering African partners to do for themselves. African partners learn that they become healthier by growing out of their own indigenous resources and teaching their people to become reliant upon God for their every need. The end vision is African partners who are proactive in identifying the priority physical, social, and spiritual needs of their communities and who are equipped to take the initiative in developing community capacity that enables members of the community to draw on the skills and resources needed to take control and improve their own lives. Jesus’ last words show that we are to make disciples of all ethne (ethnic-linguistic groups) (Matthew 28); go into all the world and preach the Gospel to everyone (Mark 16); preach repentance to all ethne (Luke 24); and be His witnesses in Jerusalem, Judea, Samaria and to the ends of the earth (Acts 1). We are painfully aware of our failure to do this. If reaching the world is the charge Jesus gave us as His disciples, then we cannot defend the vast amounts of money and time spent on ourselves while we pray and go and spend so little to reach those most in need of the gospel. 2000 years after Jesus came 28% of the people in the world have never heard the gospel and 40% of the people in the world are members of ethne with no indigenous church. The Great Commissions mentioned above were given to the entire Body of Christ; all of us have a part to play in reaching the world. Each church has a vital role to play because each local church body is an important part of the worldwide body and each of us can and must fulfill our role. This is not just a task for professional missionaries and mission agencies. In fact, the world of the first century was turned upside down because believers realized that reaching the world was their responsibility, not that of a few leaders and/or missionaries. In the early days of the church, disciples reproduced disciples and churches reproduced churches so that within eight years Paul could say he had “finished spreading the Good News about Christ from Jerusalem to Illyricum (modern day Albania).” Today we are seeing the same sort of explosive growth in Church Planting Movements (CPMs) around the world. CPMs could be called by a variety of terms, but in essence they are churches rapidly planting new churches that turn their people group’s population segments upside down because people are being taught to obey Christ’s commands and as a result they expect every believer and every church to take responsibility for going next door and to the ends of the earth. Rapid – Just like the early church in Acts, these modern day CPMs multiply rapidly. Partially this is a speed derived from a powerful movement of the spirit but partially this is due to design. For instance daily discipleship will increase a movement much more rapidly than weekly discipleship. Another key is the emphasis on “average person” leadership which avoids long training periods for “clergy”. And above all it is consistent. The average church in a CPM just plants one new church a year, but that means each church is planting a new church each and every year which continue the reproductive cycle. Multiplying – As people are discipled before and after they become believers, they are told that multiplication of individuals, families, groups, communities and churches are not only a natural expression of their faith, but a mandatory expression of their faith. Indigenous – Unless a movement fits the socio-cultural environment, it will fail. This begins with the initial contacts into a people group, where the outsider looks for a man or woman of peace who then becomes the church planter. If the outsider is the church planter, then they will introduce a foreign pattern of faith. If the insider is the church planter then the gospel seeds planted from the outside will be given freedom to grow in a way that is natural to that culture and be more likely to rapidly multiply. Obedience-based – All too often we have emphasized knowledge instead of following Jesus’ priorities. Jesus said if we love Him we will obey Him and if we obey Him we will live in His love. In the Mathew Great Commission Jesus emphasizes that we are to teach new believers to obey all He commanded. In these CPMs, the focus on obedience is an essential element. Within a people group or other population segment – There are an estimated 6965 unreached people groups in the world that do not have access to the gospel. Additionally, there are countless cities and regions and nations that are also unreached. Most CPMs today are taking place in places where there has been little or no gospel partially because more indigenous movements can arise in places that have not been given a westernized gospel which often thwarts indigenous movements. But while CPMs are more possible in these areas, these areas are also more in need of gospel movements. In a recent meeting, CPM trainers from around the world identified 80+ CPMs which are located on every continent around the world. Some had hundreds, some thousands, and some tens of thousands of new churches. All of these have begun in the last 20 years of work among those most gospel-neglected. For God to go from zero to such amazing gospel movements in such a short time is a testimony of a current day book of Acts. CPMs are not a new fad or trend, but rather modern examples of what God has always done in history: bringing individuals, families and groups into relationship with Him in a powerful way which makes these new communities of faith want to reach more people with the Good News. CPM training is not focused on new methods, but rather partially focused on helping remove mindsets and traditions that hinder the natural expansion of the Gospel. CPM training also helps us re-discover Gospel truths such as Jesus’ key instructions in Matthew 10 and Luke 10 to bring the Gospel to a new community by finding the “person of peace”. So, if your church is involved in missions, this is the kind of missions you need to express. The key question is not if your church should be involved, but how should your church be involved in initiating and supporting CPMs for the Glory of God. Twenty five years ago my wife and I moved three miles east of Dublin, Texas to pastor a Southern Baptist church called Cottonwood. In the late 1800s the site serviced a Baptist congregation one week and a Presbyterian one the next. Chartered in 1908, I became her 30th pastor in January of 1985, with an expected stint of 18 months. In the days before and after our arrival, the church serviced about 35 people and on any given Sunday would see about 15 in Sunday School and 20-25 in worship. It was a small, far away, country church with a group of people who loved the Lord and their neighbors. Today, not much has changed in the surrounding area of Cottonwood. It is still a far away, country church with a group of people who love the Lord and who desire to love their neighbors. Through the years we have come to define more clearly what that love looks like and who our neighbors are. Our neighbors today indeed are those that live in the surrounding area of the church. But the reach of “neighborly love” has extended to unreached peoples in South East Asia, Eastern Africa, Northern Mexico, the Navajo of Arizona and the Mexican community in our area. What began as an “adoption” of an un-reached people group, partnering with a sending agency, has grown into a mission that now sees the church as setting apart, training, sending and supporting our own people in the various areas of the world God has called us. In recent years the term “church based sending” has gained interest as churches no longer default to sending organizations to train, fund and send their people to the unreached of the world. In recent centuries, the church has abdicated her role, responsibility and privilege to equip and send to organizations that “specialize” in the Great Commission. Cottonwood, like many churches has had three “default” buttons of mission sending. By using the first, the church defaults to an organization by simply sending money to do missions. This was a very convenient way for Cottonwood to “do missions.” And make no mistake about it-there is a belief in many circles that “This is the way you do missions! Send us your money and we will do the rest!” Some churches will not only send their money to a specific denomination, but will also send money on behalf of “missionaries” who come through churches to raise support for their livelihood on the field. Of course there is nothing wrong with this. Matter of fact, we still send money to the denomination, as well as other organizations on behalf of missionaries. Two of our families ministering abroad are serving with a large mission agency. It’s just no longer our default button! Eleven years ago, we adopted an unreached people group in South East Asia. This animistic “nation” was 1.4 million strong with no access to the gospel. Not long after “the adoption” we defaulted to sending three families to target this people group through a large mission sending agency. What we found in those years was a bit disheartening. We lost intimacy and community with our people. There was really no accountability to or from the local church. Don’t get me wrong. We sent hundreds of our people on short term trips where we ministered in ESL camps, prayer walks, medical services and Christmas parties. We saw and were a part of the wonderful things God was doing in this part of the world. We just found certain disconnects with our people that we felt were unnecessary and grievous. Did not God call the Church – the local body of believers – to Jerusalem, Judea, Samaria and to the uttermost parts of the world? Does He not place people with distinct gifts and callings to see the church reach “their slice of the world?” What is a sending church supposed to look like? We grappled with questions like these and in the midst of these questions we developed a new “default” button- Church Based Sending. There was a family in our church that had come to love our neighbors in SE Asia and who felt that God was calling them to this distant land and people. In the process of moving them toward this place of mission, they asked that Cottonwood send them. This new model was a bit frightening for me as a pastor. Even with all the disappointments in the agency model, it seemed to me that the easiest thing was to let the sending agency do all the work and spend all their money. But our friend had moved to the conviction that his church needed to send his family. God led us to agree. So we began the year and half long process of training, raising funds, taking care of logistics, putting together a strategy and plan to be a part of continuing to reach our “slice of the world”. Today, they, along with a family on the east coast of Africa, are finishing their first terms of service, having been sent by Cottonwood. We have been allowed to be a part of seeing our neighbors in SE Asia come to Christ in large numbers, gathering in a few hundred churches. Our family in Africa has seen two church starts in their work in recent months. There are now two other couples who are beginning their training piece as they are being prepared to be sent to SE Asia and to South Asia, a new area of the world Cottonwood will find herself in! Last month at our last GCPN board meeting, I made a statement to the board members that Cottonwood no longer defaults to a mission agency to do missions. They, knowing full well the story of our church, asked what we default to. My reply was that I would hope that we neither default to a sending organization or to a “church based sending” model. My hope is that we would always default to only default button – the Spirit of God and His leadership – where I believe the heart of Nations and sending is at Cottonwood! And that is another topic for another article in a not too distant Communiqué!